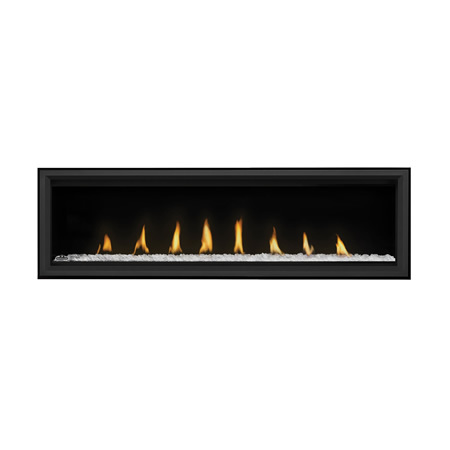 The modern, linear design of theNapoleon LV62 Vector 62 Direct Vent Gas Fireplacemakes this fireplace the perfect addition to any home. With an array of design options and burning displays, this fireplace can be customized to match your own style and preference perfectly. The breathtaking Divinity flame pattern can be controlled with the included handheld remote or by the innovative Bluetooth eFire app from your preferred Bluetooth enabled device. Multi-colored LED lights illuminate beneath the ember bed, cycling through the color spectrum to create an enjoyable tranquil environment. Adding to that elegance is an electronic ignition system with a battery backup, ensuring reliability during power outages. 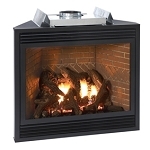 Available in natural gas or propane the 42,000 BTUs output provides ample heat making your living space comfy and cozy. 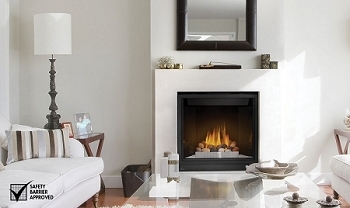 Between its captivating style options and state of the art design, theNapoleon LV62 Vector 62 Direct Vent Gas Fireplacewill bring luxury to any living space there is.